No need to forage and clean your own mushrooms with this meal. Mushroom fans can spend a little more time lounging since this Wild Mushroom & Soya Ragout with Pasta is simple to prepare and ready in a snap without the need for the big search. The traditional taste of mushrooms is still fully and deeply developed, with the combination of soy and noodles building the foundation for good nutrition. 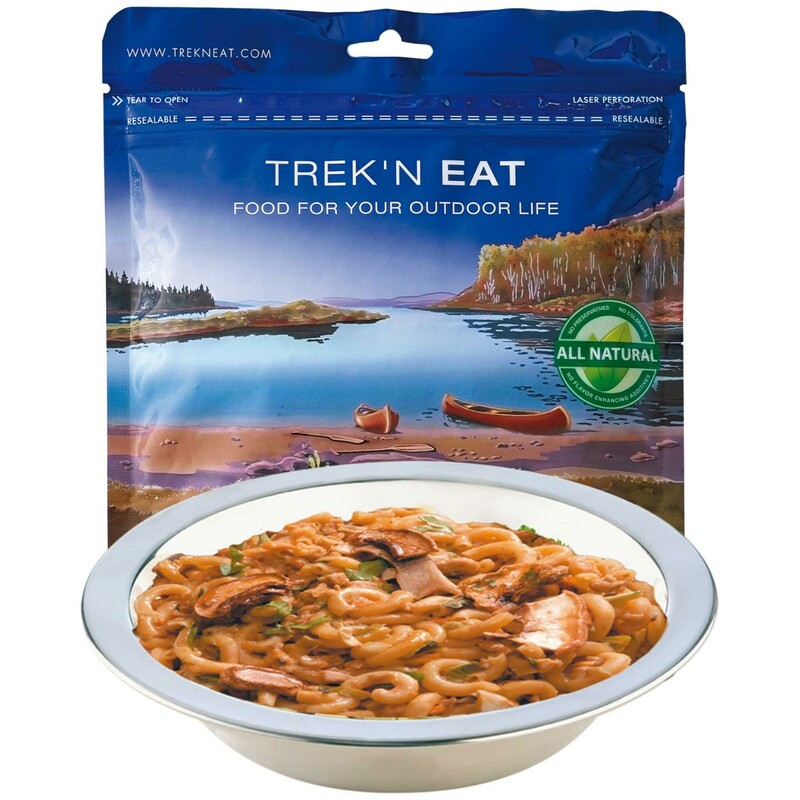 Trek'n Eat Wild Mushroom & Soya Ragout Pasta contains gluten, milk, soy and lactose. Vegetarian.